'Paul B. Allen began his career as an entrepreneur in 1990 when he cofounded Infobases with Dan Taggart. Infobases published religious and educational CD-ROMs. The two men founded Ancestry.com in 1997 and the MyFamily.com website in 1998. He left Ancestry.com in 2002. He initiated the acquisitions of Rootsweb and Ah-ha.com. He went on to found FundingUniverse.com in 2004, which connected entrepreneurs with funding sources. It is now called Lendio. From 2007 to 2012 he focused on FamilyLink.com, which from 2008 to 2010 was the number one app on Facebook. 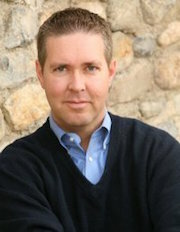 He was a managing partner with Provo Labs from 2003 to 2007. In 2012 he joined Gallup where he is a global strengths evangelist. Allen earned his bachelor’s degree in Russian from Brigham Young University where he also pursued a graduate degree in library science until he devoted his time to the growing Infobases. He grew up in Orem, Utah, and is a member of The Church of Jesus Christ of Latter-day Saints. This page was last edited on 27 May 2017, at 15:22.